Need to get rid of some snow? 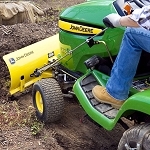 Whether you use a John Deere Walk-Behind Snow Blower or a Tractor-Mounted Snow Blower, we have the parts you need here at GreenPartStore. 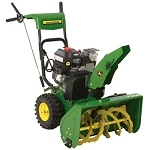 We have tons of parts and accessories for all models, so you'll always have what you need to keep your machine in top shape and remove snow hassle-free. 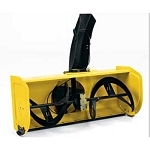 We have auger drive belts, fuel filters, mufflers, wheel assemblies, rotor bearings, and more. To start looking for the part you need, click the model number of your vehicle or enter the part number into the Part Search box above. For personalized service or to ask about a part you don't see on our website, please call us toll-free at 1-888-432-6319.